Saturdays Parkruns saw Max Wainright, Tim Palmer, Jo Farwell, Jenny Illidge, Louise McElevely, Ste Wiggins and Paul Bulmer tackle Delamere with Max first home for Helsby and Tim recording a PB. Over at Ellesmere Port Parkrun Ben Williams’ PB was the sole Helsby result. http://www.lps-athletics.co.uk/wp-content/uploads/2014/10/Beacon-Park-2014-Results.pdf http://www.stevesaunders.co.uk/xc/2014/race1_14.pdf Graham Lloyd made the trip out to Snowdonia on Saturday for the UKs most challenging road marathon and completed the course in 4:59:09. Over the weekend Chris Baynham-Hughes also completed his first OMM Elite event, finishing in 6th place. Congratulations to both Chris and Graham. Just a reminder to any Helsby runners who entered the Abergele 5 miler before October 19th that, subject to eligibility, you may be asked to be part of one of the Cheshire teams taking on North Wales and Staffordshire at the race. Good luck to anyone fortunate enough to be selected. 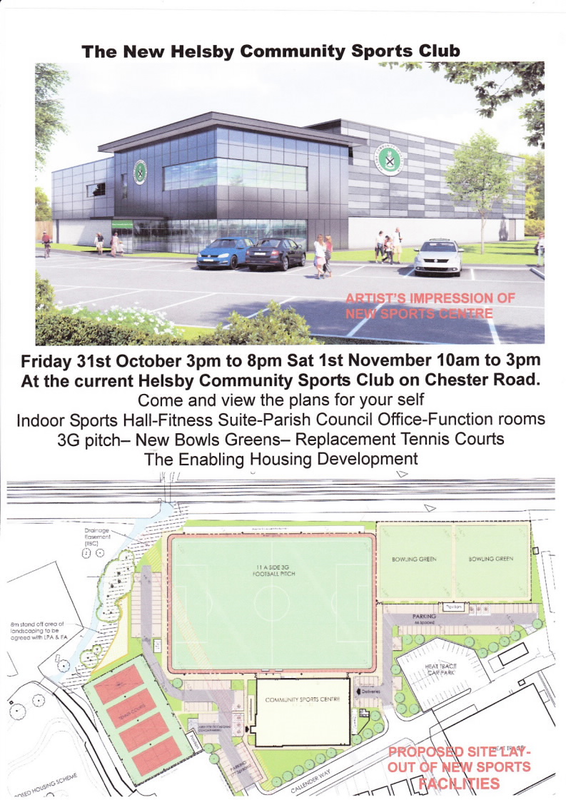 Members are also invited to pop along to to the Helsby Sports and Social Club this coming weekend to view the plans for the impressive looking new club house, the sessions will be open from 3pm to 8pm on Friday and 10am to 3pm o Saturday. Please see the flyer for further details. Photos of the cross country were courtesy of Jane Bishop not Jackie as I appear in some! Great tune out for first Sunday League XC of the season.